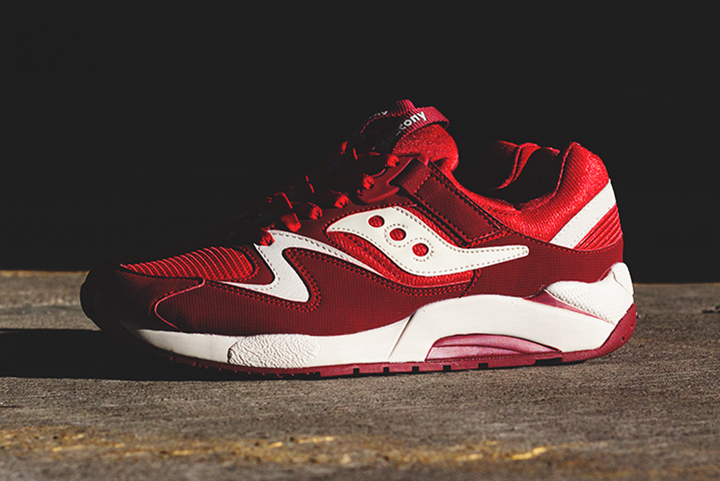 Saucony‘s Grid 9000 returns for Spring 2014 in a seasonall-apropos combination of red and off-white. The kicks see a darker red hue on the textured mudguard and rubber outsole. Retailing for £80 GBP (approximately $133 USD), this edition of the retro classic can be picked up now via COMMONN.